1. 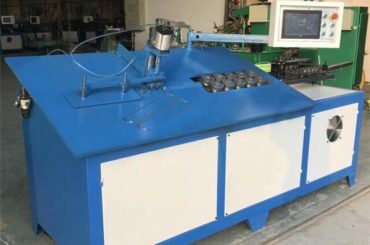 Simple operation, automatic length measurement, automatic bending and rapid prototyping. 2. It is easy to adjust the distance between the processing length and the angle. 3. Computer programming, can store hundreds of graphics. 4. 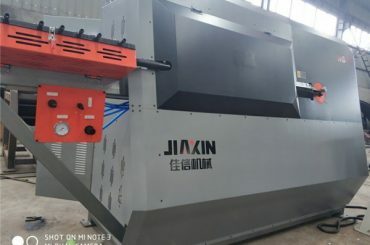 Two way intelligent mobile bending can do 12 head movements. 5. 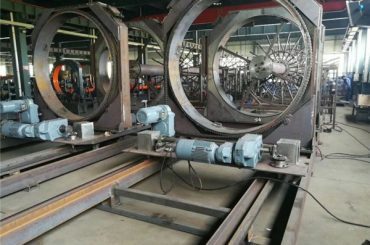 The production efficiency is high. 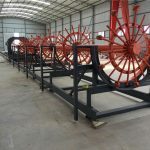 The average daily processing capacity is 5500 /1 people, which can replace 22 workers, which is more than 10 times the output of traditional processing equipment. 6. 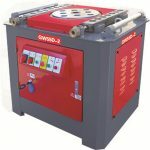 The equipment investment is small, the finished product processing error is small, and the labor cost is reduced. 7. 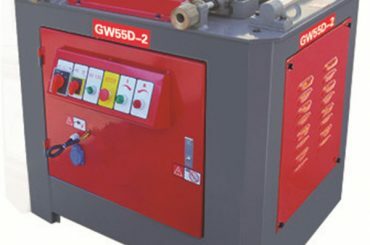 The equipment is equipped with an air pump to supply the gas source. 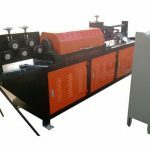 The left and right two steel bar automatic bending machines are driven by the respective variable frequency braking motors and chains in the two way traction mechanism, and are respectively assigned to their respective zero positions. 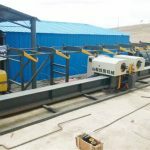 When the steel bar needs to be bent, the steel bar is transported to the drop hook by the chain transfer buffer mechanism, and the steel bar is manually taken into the positioning slot of the two automatic bending machine. 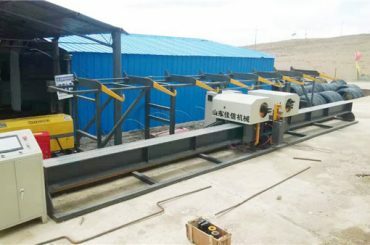 The steel bar is clamped by the tightening device, and the control system will start the control system, so that the frequency conversion brake of the two-way traction mechanism drives the two steel bars to automatically bend. 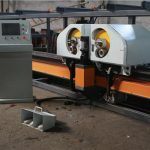 The bending machine is automatically moved to the bent part of the steel bar; the bending axis of the left and right two steel bar automatic bending machines can be flexed according to the instruction to complete a bending forming. 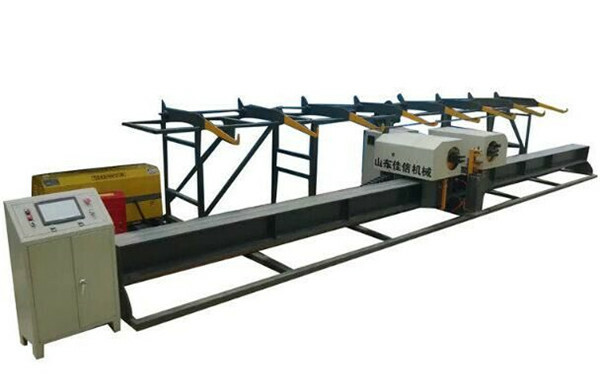 After a bending forming of the steel bar is completed above, the two-way traction mechanism drives the two steel bar automatic bending machine to move to the bent shape position of the steel bar automatically. 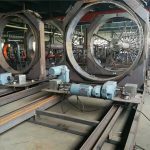 The tightening device clamps the steel bar and repeats the bending action to the steel bar until complete bending of the steel bar, the clamping mechanism loosens the steel bar and manual will be made. 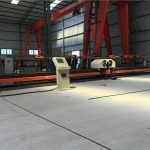 The finished steel bar is taken out. 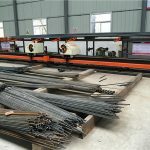 After completing the bending process of the steel bar, repeat the above actions.